F.Markus Deutsch: Is the Principal of Landmark Global Associates, an asset manager of multiple hospitality assets in the United States and Europe. Mr. Deutsch was President and CEO of Cendant’s Vacation Rental Group (VRG) a $1.2 billion gross revenue company which he built from a concept developed in 1999. VRG, is a micro-branded e-commerce & real estate business now part of Wyndham Worldwide, servicing 45,000 real estate investors, 60,000 properties in 22 countries. Before he was Managing Director of Cendant’s travel membership business and hotel franchising business in Europe, Middle East, Africa and Asia. 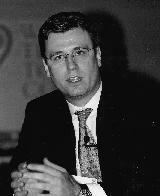 Mr. Deutsch led acquisitions of 14 companies during his tenure. Previously Mr. Deutsch was an interim CEO managing a divestiture for a Sony/Polygram joint venture as well as a partner in a firm which owned an investment in a venture leasing firm. He started his professional career with several positions at Citibank. Mr. Deutsch received his bachelor's degree with honors in Economics from Hamilton College and an MBA from New York University. He is a member of the Institute of Directors in London, an advisor to the NYU Center of Entrepreneurship, and serves as a board member at Rockefeller Consulting Group / iCap and several other companies.